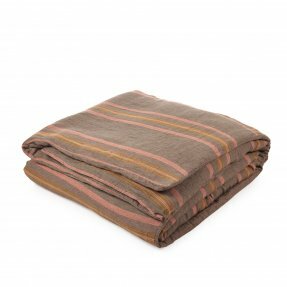 Named after the Nottinghill neighborhood of London, this collection was designed with winter in mind. 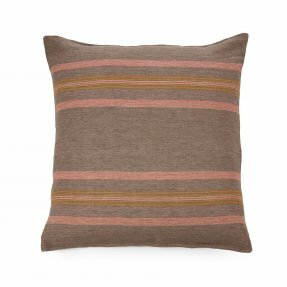 Red and mustard stripes sit on a brown ground in this yarn dyed herringbone fabric. 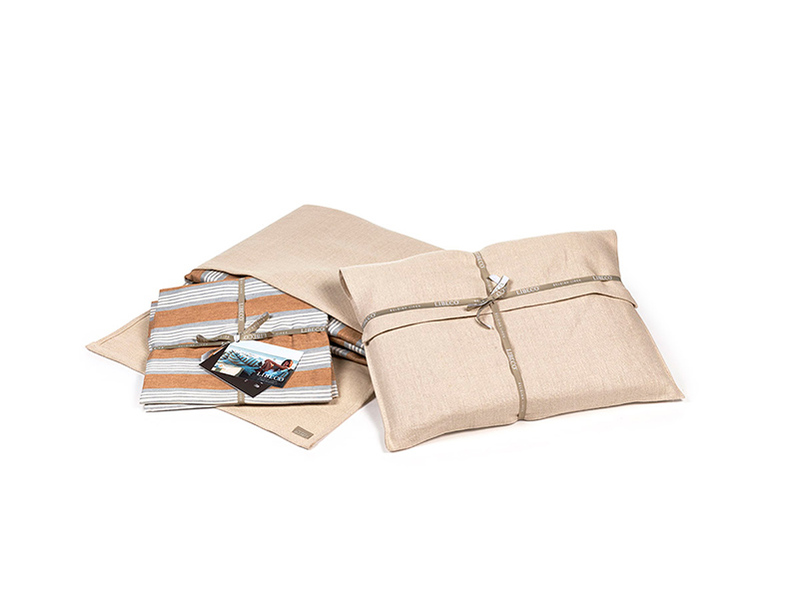 The duvet and pillow shams are striped on one side, solid brown on the other. 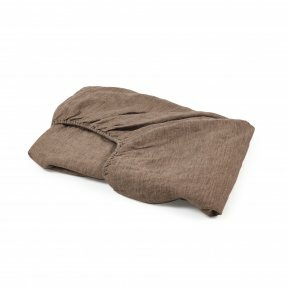 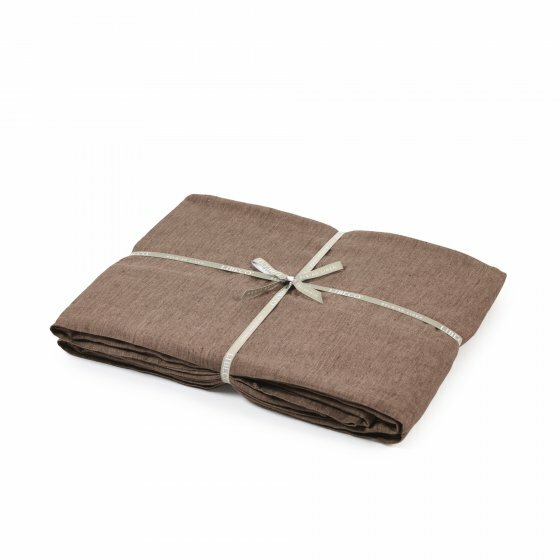 Sheets and pillow cases are available in solid brown.